Elko, NV – Oct 05, 2015 – Lithium Corporation [OTCQB – LTUM] “the Company” is pleased to announce that it has recently received all approvals for the Notice of Work (NOW) submitted to the government of British Columbia earlier this year, and has begun the trenching program at its BC Sugar flake graphite prospect in order to map and sample the Weather Station showing. Previous sampling in the area of the Weather Station showing has indicated that coarse flake graphite mineralization exists here over a considerable stratigraphic width, but the sporadic nature of outcrop locally has made it tough to get a handle on exactly how well mineralized the zone truly is. The trenching program is slated to extend along an existing trail for 524 feet (160 meters), and should give company geologists a considerably clearer picture of the geology locally, and more importantly determine if significant weathered and easily extractable mineralization exists here. 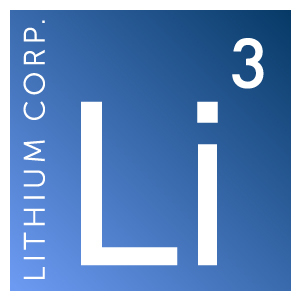 “This is an exciting program for Lithium Corporation. The trenching will be important for us to advance our understanding of the BC Sugar Project’s geology and graphite mineralization. It will also further develop the prospect in a cost effective manner and ultimately assist us to plan an efficient drilling program.” stated company President Brian Goss. Lithium Corporation is an exploration company based in Nevada devoted to the exploration for energy storage related resources throughout North America, looking to capitalize on opportunities within the ever expanding next generation battery markets. The Company maintains a strategic alliance with Altura Mining, an ASX listed natural resource development company that is currently searching for off-take contracts for its 100% owned world-class Pilgangoora lithium pegmatite property in Western Australia.